Across Australia, outdoor advertising accounts for up to 5% percent of total media spend and continues to increase year on year. BigBelly Solar compactors provide a unique way to advertise across cities, shopping centres, transit, rail and airports. We offer static, led light box, digital and WiFi advertising opportunities for our customers as we improve streetscapes and the environment across Australia. Solar Bins Australia provide a complete end to end media solutions from identifying advertisers, installations, decal printing and ongoing maintenance. Our design team will work with your in house marketing teams to create a positive sustainable messaging roll out to communicate to the public and your constituents. 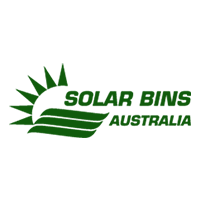 Solar Bins Australia offers design, printing, installation, and engagement solutions on our installed compactors nationwide. Place your brand along side the leading smart city technology innovation in the world, leading the way in connecting our cities and the public world wide. Contact us today on 1300 893 610 to see how we can help you.